...michael neil bell: Wii Wii! 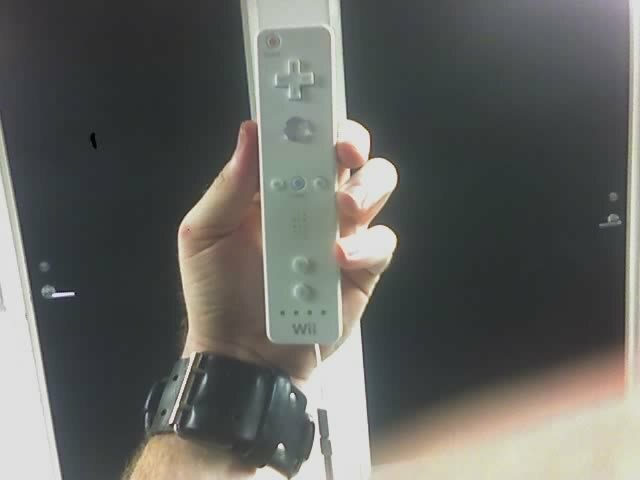 I finally got my Wii. I've been looking for one for months now, starting in February. I finally got one yesterday as I was going to pick up some medicine for myself (I was sick). The store is in the same shopping center as a GameStop. I decided to run in (as I have been anytime I'm near a store that might carry the Wii) and ask if they had any in stock. I didn't have any expectations that they would have, but lo and behold they had just gotten a shipment in about half an hour earlier. When I inquired how many they had, they told me that for security reasons they couldn't tell me. I can understand. Maybe the mafia (in Houston.... right) might rob the truck, or something. I wanted to buy 2, so I can have one and put the other one on eBay to pay for the first one. They're still going for over $400 this morning. Amazing, in April and four months after the Christmas rush. I'm really excited to play it. I also bought Twilight princess to play. It's all hooked up and ready for me to get home.